If you have found yourself wanting to write a book but struggling with how to make it happen, you’re in good company. Did you know that 80% of Americans say they’d like to write a book, yet only 2% actually have? People don’t write for a variety of reasons, one of which is writer’s block. 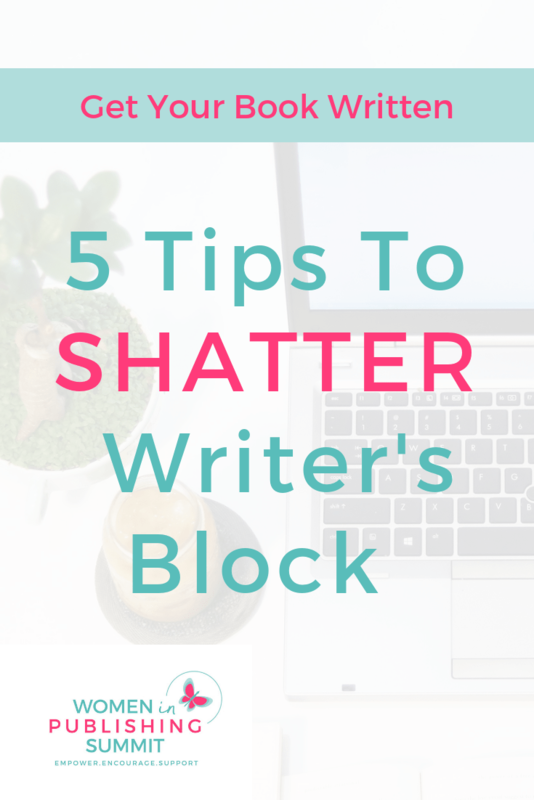 If you are struggling with writer’s block, we hope these tips from Nina Amir, a high performance coach for authors help you shatter right through it. Get clear on what you want to write about. If you aren’t sure what you want to write about, you will struggle to get started. Writing a book can be really overwhelming and if you’re not clear on why you want to write it, who should read your book. Nina recommends journaling through the following questions to help you find clarity. What would happen if I wrote this book? What would happen if I didn’t write this book? Why does writing it need to be a priority? How will writing this book impact my business or personal life? As you answer these questions, more and more clarity about your project will come to you. Fight writer’s block by taking action. Writer’s block isn’t an actual block, it’s fear.The best way to fight fear is by deciding you’re going to go for it regardless of what might happen. Focus on the present instead of getting wrapped up in the “what ifs” and let the chips fall where they may. Get started writing or keep on writing- that builds momentum and energy that will help you move past your fear! Your writing time will become more focused and productive when you take time to take care of your body. It takes physical, mental and emotional energy to write a book. Do deep breathing exercises and make sure to drink enough water, your brain cannot function without air and water. When you make time to exercise, you’ll develop more energy and stamina to get through your day. Make sure you’re eating a well balanced nutrient rich diet. Make writing dates with yourself. We live in an instant world where all the information we need or want is right at our fingertips. To make the most out of your writing time, turn off as many distractions as you possibly can. Turn your phone to silent or keep it in a different room, limit the amount of browsers you have open on your computer and turn off social media. Set a timer, get focused and write. You’ll be so much more productive than if you ping ponged from your email, social media and then back to your writing. Don’t edit while you write, instead save that for another day. Editing uses a different function of your brain and will interrupt your creative flow.